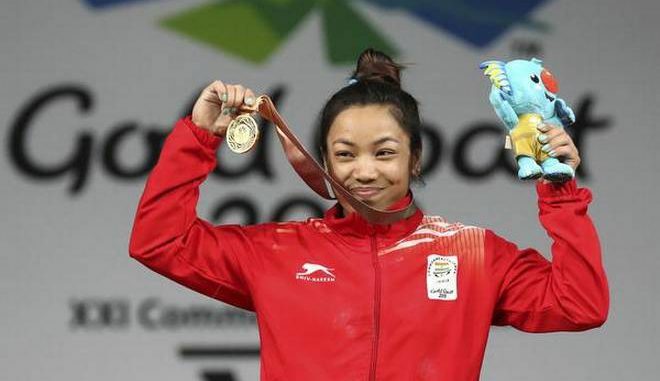 Mirabai Chanu secured India’s first gold medal in the 2018 Commonwealth Games when she finished first in the women’s 48 kg weightlifting event at Gold Coast . Mirabai Chanu smashed the Commonwealth and Commonwealth Games’ weightlifting record by lifting 196 kg. The previous Games’ record was 175 kg set by Augustine Nwaokolo of Nigeria in 2010.